Less than a week before Election Day and everything still looks awfully close. Our electoral vote estimate remains unchanged from last month; national polls are even and most battleground state polls are effectively even. But remember that on Election Day "close" could produce a back-and-forth trading of battleground state wins until someone edges over 270, or a series of razor-close wins that consistently tip for one candidate, producing a comfortable electoral win. Either scenario is possible for either candidate. President Obama keeps his lead in Ohio, which is important. He has an edge in the early vote there but remember that most of the polls incorporate the early vote, having interviewed early voters, so what you see in the polls is where the state stands. Mitt Romney does have a path around Ohio, if needed, given his competitiveness in so many battlegrounds. But Obama needs states beyond Ohio, too, and there is no other battleground state he can solidly count on. As an example, here's a way Romney could get around an Ohio loss. He would surely need Wisconsin and Colorado - so keep an eye there too. We should note that we have seen polls released that show Minnesota, Michigan and Pennsylvania as tighter, which haven't been battlegrounds of late. First, remember there still isn't a lot of good polling in these places. Second, note that CBS News has long considered these states as likely, but not solidly, in the Democratic column and they still are. It's not entirely surprising though. The tightness we see in national polls means the votes have to come from somewhere; only about one-quarter of voters live in the swing states, so we'd expect other states to get tighter, too. But it is entirely possible that states like those could add suspense to election night if Mr. Obama only squeaks them out. More broadly, this does speak to a larger story, much of which we already know. There's no question Romney has had a very successful final month, and the map is narrow. 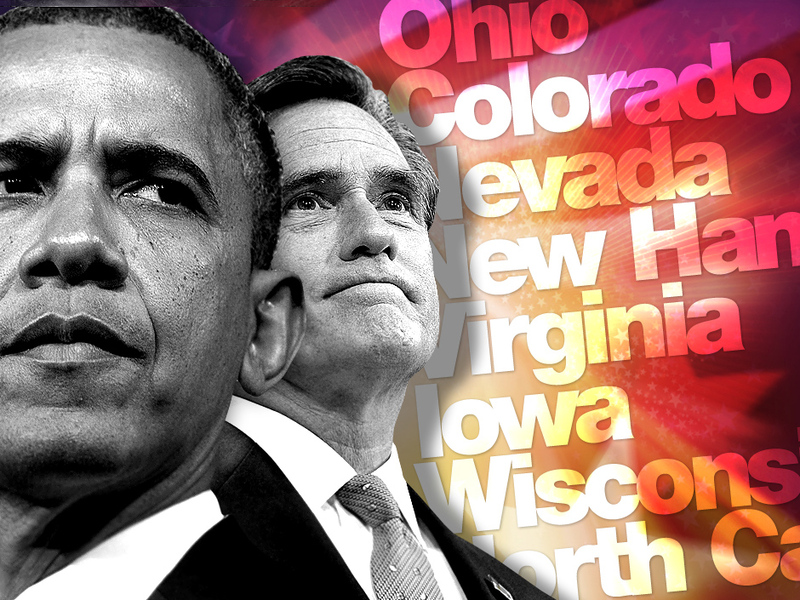 Mr. Obama won't get nearly as close in red states as he did in 2008. Even if he wins battlegrounds, he isn't going to do it by the same margins he did last time. (In fact, many of today's battlegrounds were comfortable wins for him last time) and Mr. Obama has no new states in play in we head into Election Day.